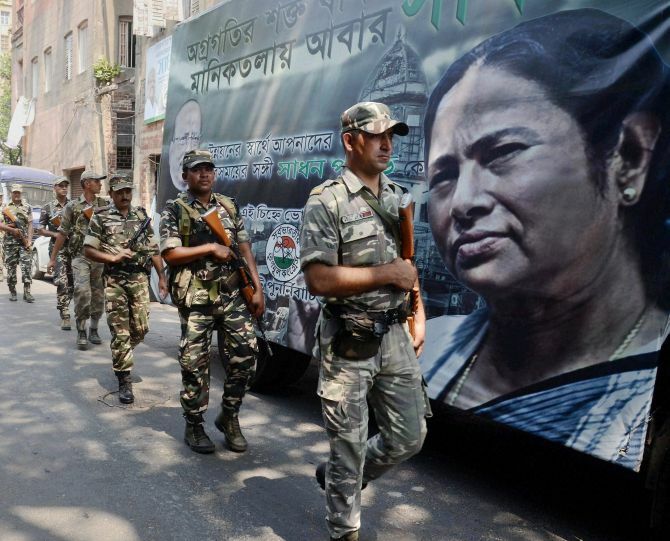 Phase III of assembly polls in 62 constituencies of West Bengal on Thursday witnessed a series of clashes between political rivals during which bombs were exploded but the violence failed to deter the electors who came out in large numbers, recording a 79.22 per cent voter turnout. The Election Commission said in New Delhi that the turnout could be more as the figures were based on text messages sent by polling officials from the field till 5 pm. 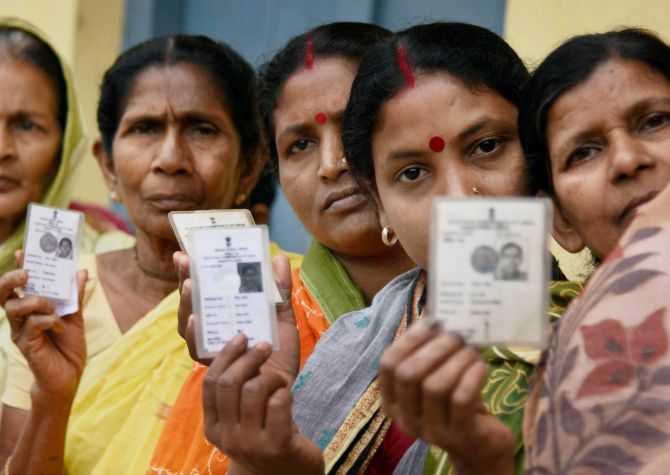 Heavy turnout of 81.62 per cent was recorded in 17 seats of Nadia, 79.29 per cent in 22 seats of Murshidabad and 78.26 per cent in 16 seats of Burdwan. However, the seven constituencies of northern Kolkata, registered only 57.05 per cent votes. Though polling ended at 6 pm, officials said the final turnout figure would be known on Friday. 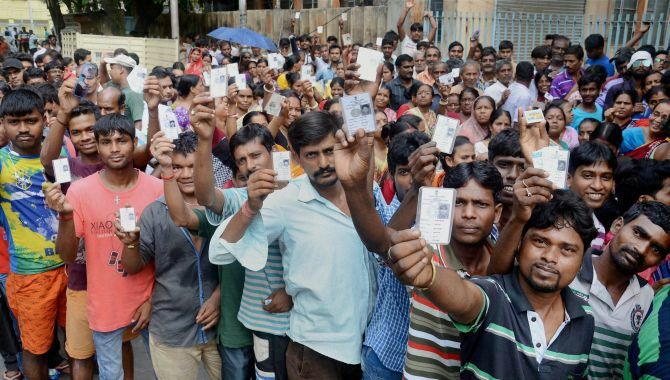 Deputy Election Commissioner in charge of West Bengal Sandeep Saxena said in Delhi that in the 2011 assembly polls, the voter turnout stood at 84.83 per cent, while it was 81.80 per cent in the 2014 Lok Sabha polls in the constituencies which went to poll today. The body of a 35-year-old CPI-M supporter, identified as Tahidur Mondal, was found about 500 metres away from a polling booth at Shibapara area of Domkal Assembly seat in Murshidabad district. No arrests have so far been made in connection with the incident. Asked whether the incidents of violence in the third phase were the highest in this phase, Saxena said the Commission "cannot compare" the number of incidents in each phase. Police said an FIR has been filed against 20 persons alleging that Trinamool supporters killed Mondal. In another area of Domkal constituency, four people were hurt, two of them seriously, in a clash between rival political workers for which 25 people have been detained. Three other incidents of clashes were also reported from Burdwan in which crude bombs were used. ADG (law and order) Anuj Sharma said the police made 169 arrests during the day out of which 162 were under preventive sections all over the state. Altogether 63 preventive arrests were made from Kolkata including 52 from Beleghata area where there were complaints of voter intimidation. A government official on poll duty, who was maintaining the queue at a booth in Burdwan district, died of sun-stroke. 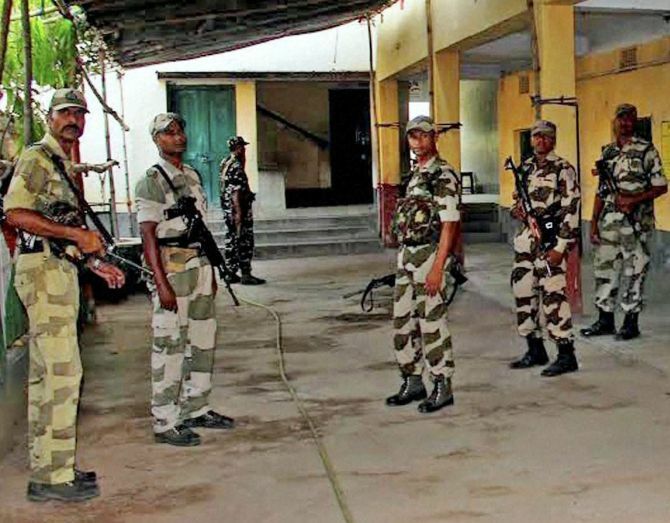 Altogether seven presiding officers were removed from duty during the day in Burdwan and Murshidabad, West Bengal Chief Electoral Officer Sunil Gupta said. Union Minister Babul Supriyo was allegedly heckled at a polling booth in Jorasanko constituency in the city when he went to cast his vote along with his mother. In Kolkata, Trinamool leader Anwar Khan was arrested following instructions from the Chief Electoral Officer after he was shown on TV channels abusing the poll panel while talking to a party worker over phone. During the day, the poll panel received over 2,700 complaints, many of which were related to booth-capturing, false voting and voter intimidation.